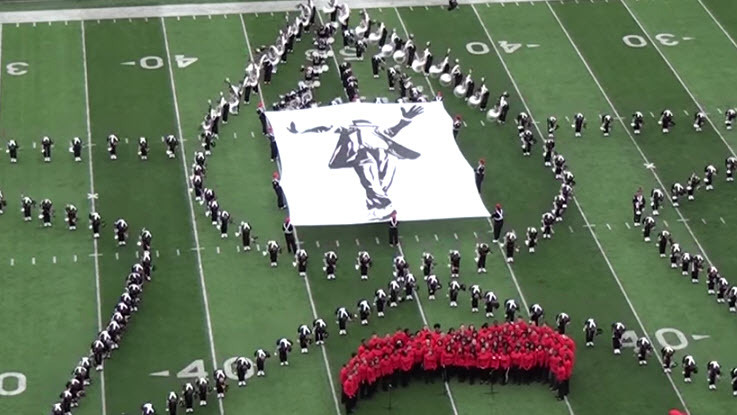 The Ohio State marching band, better known as the best band in the land, performs a Michael Jackson tribute during halftime of the Iowa game back on October 19th, 2013. The marching band was actually celebrating the 25th anniversary of the release of Michael Jackson’s Bad album. They performed such songs as Thriller, Bad, Billy Jean, and they even moonwalked in the shape of a giant MJ figure. The marching band really knocks this out of the park, and if you haven’t had a chance to see this yet, check it out below. It is quite the impressive performance!